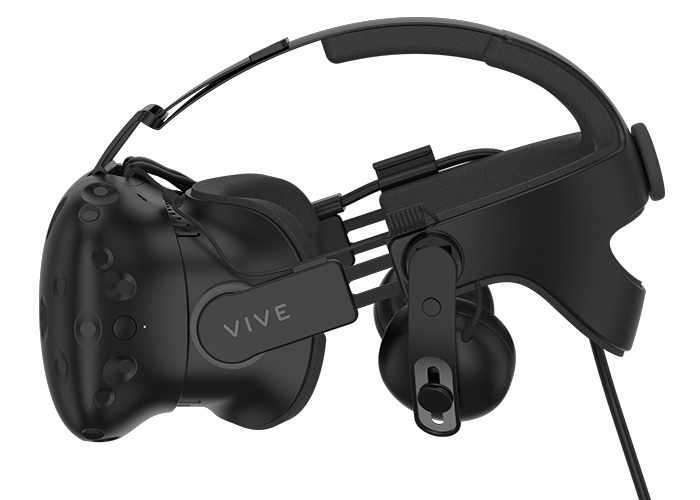 Owners of the awesome HTC Vive virtual reality headset will be pleased to know that HTC has today announced that the highly anticipated Vive Deluxe Audio Strap that offers built-in audio will be available early next month on June 6th, 2017. The Vive Deluxe Audio Strap will be available on June 6th directly from the official Vive website and will be priced at $99.99, €119.99, £99.99 or ¥799.00 depending on your location. HTC explain a little more about what you can expect from the new Vive Deluxe Audio Strap. The Deluxe Audio Strap is great for multi-user environments and adds comfort features that make everyday use more enjoyable. A quick sizing dial makes it easy to switch between users or to get in and out of the headset quickly. Hard-sided construction with interior padding also provides better ergonomics and weight balance, enabling you to play longer and remain comfortable during extended use. Plus, with integrated audio, searching for your headphones will be a thing of the past. The Deluxe Audio Strap’s integrated on-ear earphones offer both height and angle adjustments to best fit your ears and are quick and easy to raise and lower when someone wants your attention outside of VR. For developers and businesses, the Vive Business Edition (Vive BE) bundles every new purchase with the Deluxe Audio Strap. For those that have ordered the BE since Feb 27, orders will begin shipping later in June.